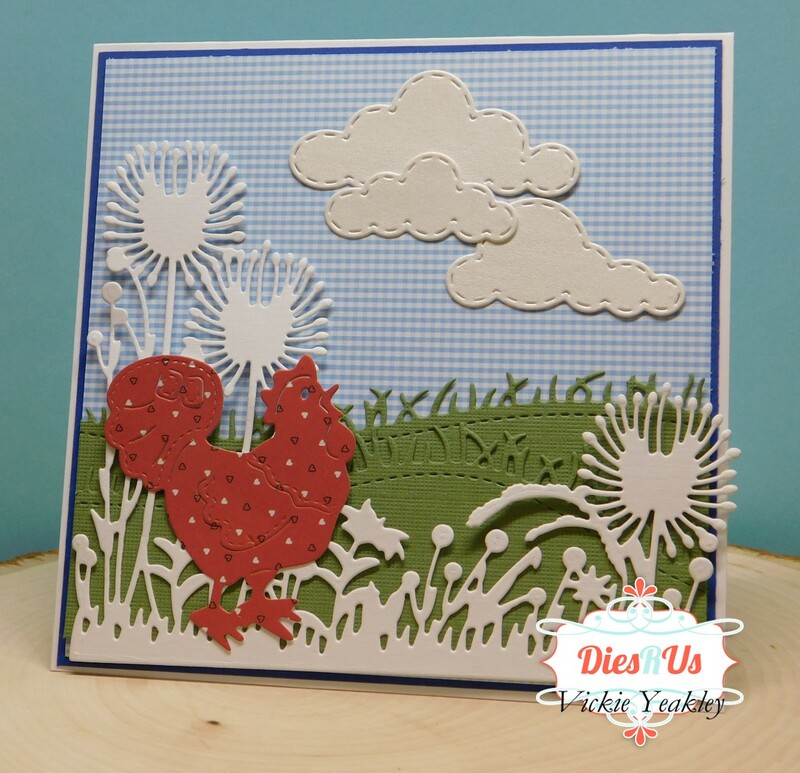 Dies R Us: Country Chickens! Hello Dies R Us friends! 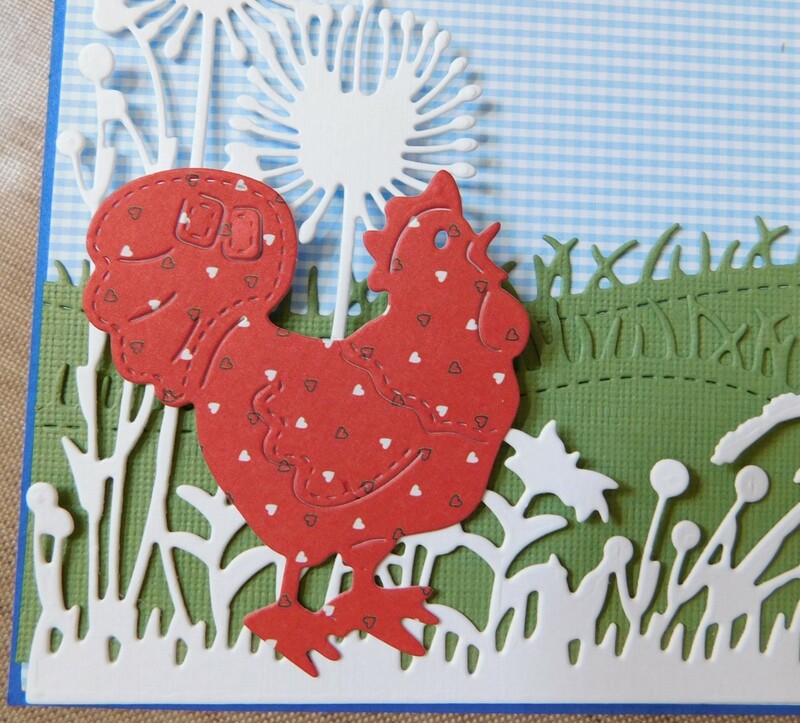 Vickie Y with you today sharing two poultry cards! My mother-in-law collects all things chickens so my cards will be included as part of a a few chicken gifts for her birthday. And, finally the rooster to complete the card panel. 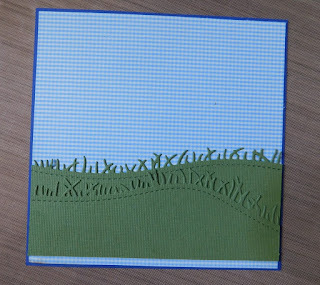 The card panel was attached to a 5x5 inch card base. 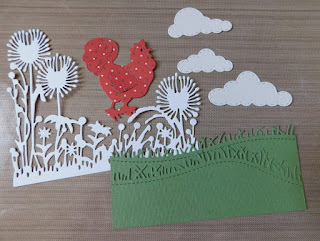 Since I had a chicken die leftover from the Frantic Stamper Stitched Poultry die cuts I decided to creat another poultry card! I also used a circle die from Frantic Stamper Stitched Circles; however, this die set is not available in the DRU store, but any circle die can be substituted. 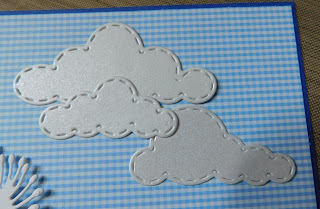 Here is a link to several stitched circle dies from the store. I love your poultry cards. The scene you created on the first card is so pretty, and the black, white and red colour combo is just perfect for your second card. AWESOME! 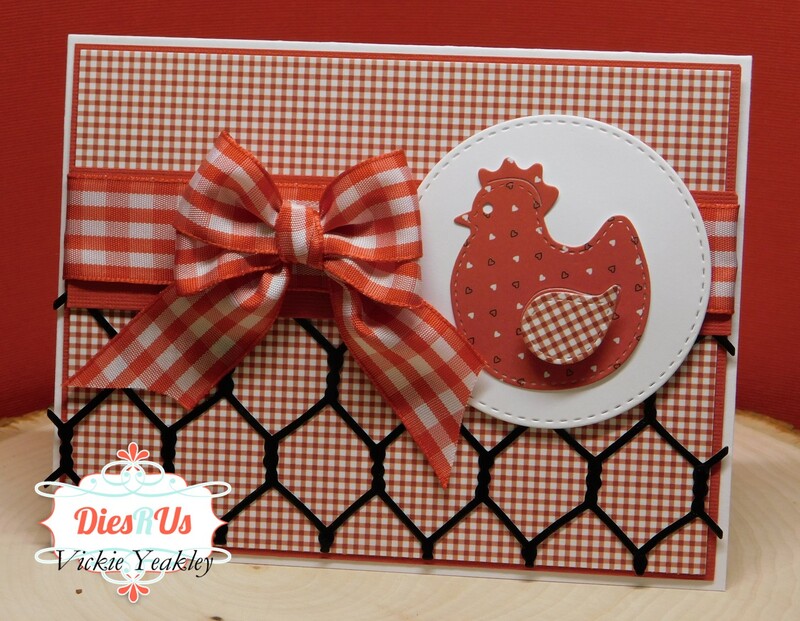 I love both of these creations Vickie ... especially the red gingham with black chicken wire! What fabulous scene's you have created! Thanks for sharing such wonderful inspiration using dies! Well done! These are both so cute!! I've often wondered about adding those chickens to my cart. After seeing this they just might be coming home with me on my next shopping excursion. Thanks for the sweet inspiration!! 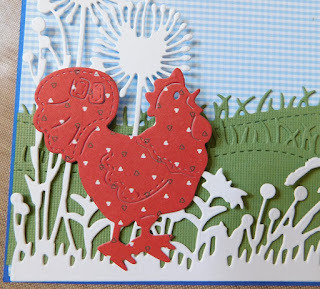 I never thought of chickens on a card. You have proven me wrong. These are so cute and I really love the red and black one. The bow is awesome. So cute- but I did think of Corn Flakes though! 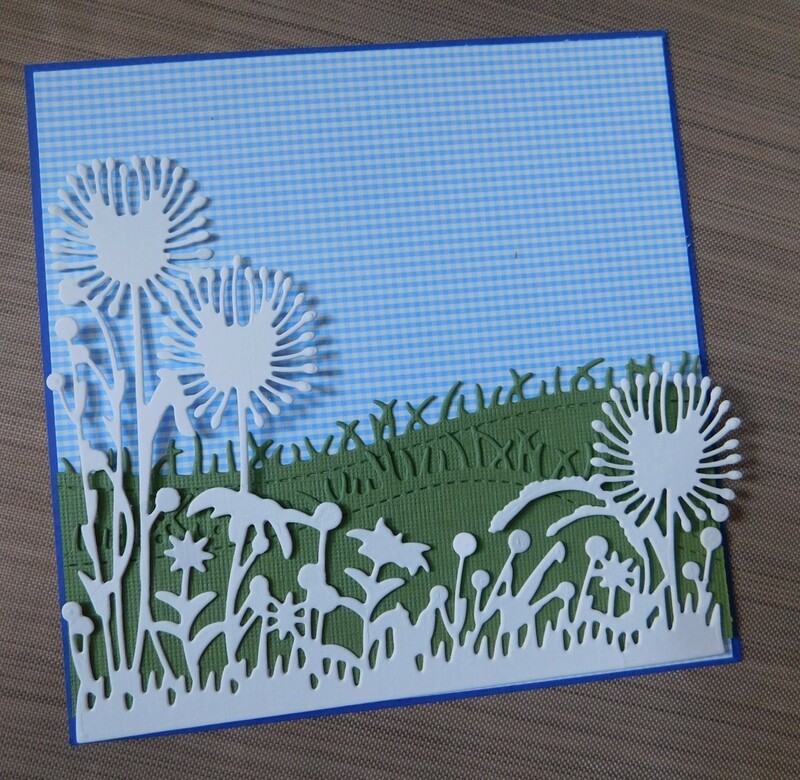 Vickie, your cards are fabulous! I love the scene you have created in the first one and absolutely love the colors and design on the second one. too cute! 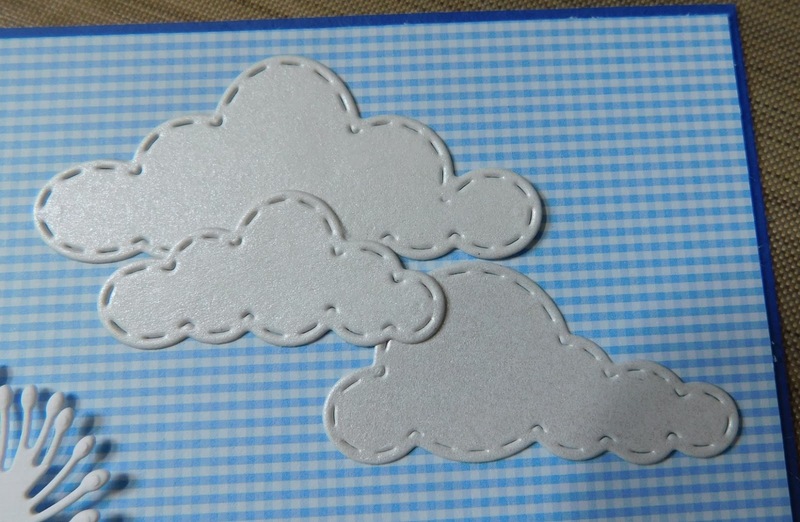 adorable papers! I have most of these except those flowers! guess that is going on my list!